Today, Brazil’s Electoral Court will restart a trial into allegations that impeached President Dilma Rousseff and current President Michel Temer, then her vice president, received illegal campaign funds in 2014. If proved, Mr Temer’s short tenure could come to an abrupt end on Thursday or Friday. Prosecutors say there’s “strong and very serious proof” that the Rousseff-Temer campaign did accept illegal funding, although a judge has suggested more time may be needed to review evidence. But even if the Electoral Court trial is postponed or even dismissed, Temer is far from out of the woods. 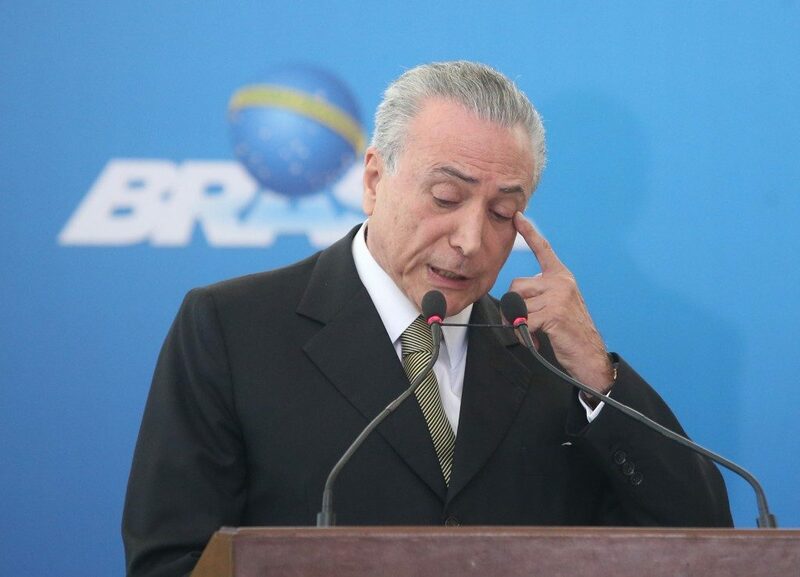 The president is being investigated after allegations surfaced that he sanctioned bribes to disgraced former parliamentary speaker Eduardo Cunha—who was given a 15-year prison sentence in March for accepting some $40 million in kickbacks. In a significant development, a former advisor to the president was arrested on Saturday. If Temer is removed—which, one way or another, looks likely—Brazil’s Congress must choose an interim leader to serve until elections are held next year. Finance Minister Henrique Meirelles and Tasso Jereissati, the leader of centre-right Social Democracy Party—Temer’s largest coalition partner—are shaping up as prime contenders for the role. Whoever leads Brazil must contend with an economy recovering from two years of recession but which may be again roiled by the latest political turmoil.